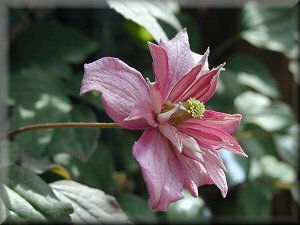 Beautifully formed pink double flowers. 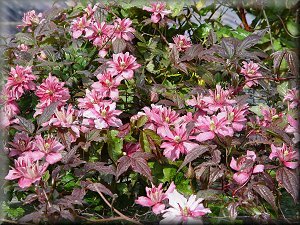 Raised by Vince Denny in 1988, a hybrid of C. montana 'Marjorie' x C. montana 'Picton's Variety'. 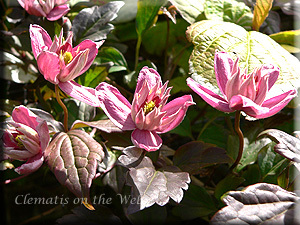 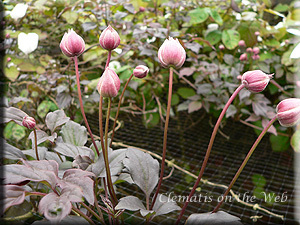 Awarded a British Clematis Society Certificate of Merit in 1998.